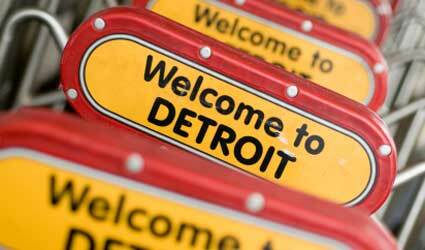 Philly takes the top spot, 3 Florida cities are featured and Detroit's comeback continues. . .
Philadelphia, PA Time for an authentic Philly cheesesteak and a visit to the City of Brotherly Love as Franklin Square turns 10 and the National Constitution Center hosts Headed to the White House this election year. Kimpton, Omni and Loews Hotels love families. Best ice cream parlor is The Franklin Fountain. Chicago, IL The Cubs are going to win the World Series in 2016 and Chicago's Museums, Lincoln Park Zoo and the Art Instituteall remain among our nation's best. Stay at Residence Inn's 700th hotel or the Radisson Blu Aqua Hotel. Orlando, FL More than just the theme park capital of the world, Disney Springs and nearby Kennedy Space Center's Heroes and Legends attraction features the U.S. Astronaut Hall of Fame. Stay at The Hard Rock Hotel. St. Petersburg, FL Take a "Bird Quest" through the areas museums, parks and hotels and let your senses go wild at the hands-on exhibits at Great Explorations, Sunken Gardens and Clearwater Marine Aquarium. The Vinoy Renaissance Resort & Golf Club is a great choice for families. Detroit, MI Only in Motor City can you visit the largest penguin facility in the world; stop at a LEGOLAND® Discovery Center and enjoy an afternoon of Beatles at The Magical History Tour at The Henry Ford. For dinner kids will love the iconic Buddy's Pizza. Hyatt Place Detroit/Auburn Hills or Hyatt Place Detroit/Utica are great options for families. Miami, FL A Miami Culinary Tour in Little Havana is life changing and GameTime Miami, Jungle Island, Coral Gables Venetian Pool and Lincoln Road provide unique experiences for everyone. The Pizza Bar and Bodega are fun. The Palms Hotel & Spa is incredible for families. Hilton Head, SC Beaches, bike trails, kayaking and water sports, horseback riding and we're just getting warmed up. Families will think they are in the Caribbean at Omni's Hilton Head Oceanfront Resort. Check out ABC Travel Guides HERE!